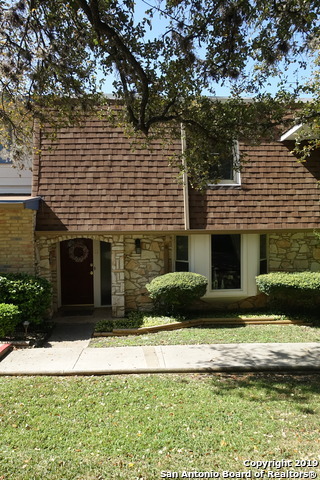 All CHARTER OAKS homes currently listed for sale in San Antonio as of 04/22/2019 are shown below. You can change the search criteria at any time by pressing the 'Change Search' button below. "You will be proud to call this unit home.Grounds are maintained by HOA and you have a large bay window in the front to see the pretty landscaping plus a two level patio in the back for all your grilling needs. Home boast 3 bedrooms upstairs and 2 .5 baths. 2 living areas so there is plenty of space to spread out. A spacious room under the stairs for storage. Master bedroom has a large walk in closet. 2 car garage! Close to two HEB's . La Cantera, the Rim,USAA near 1604, I 10 and 410."